Introducing Niedleich Black Magic, daughter of "Jagger" - Ch.Niedleich Carbon Copy. 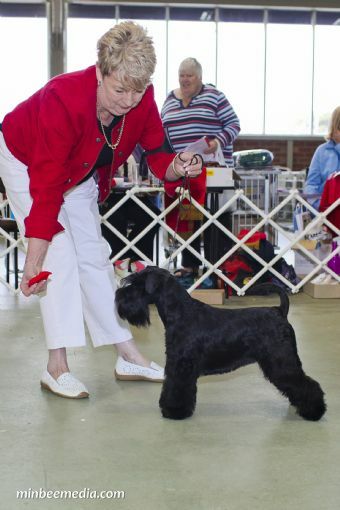 "Pippa" made her show debut today the 5th August 2012, at the Schnauzer Club of Vic. Open show. Wow, what a start, just l5 weeks old, and she's BABY PUPPY IN SHOW. This gorgeous puppy is going places!! "BEAUTIFUL Puppy. Good head, neck and back. Really good coat. 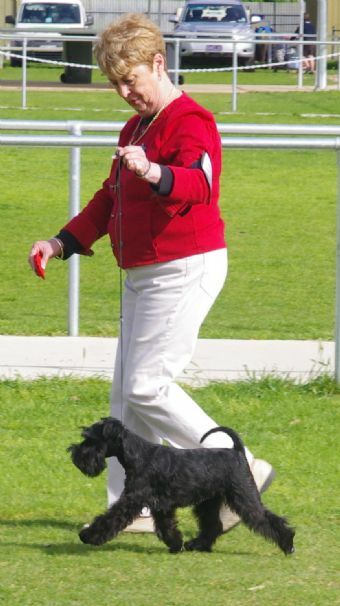 Good bone, Beautiful movement"
SHOW UPDATE - Just 10 mths of age, and Pippa has won BEST IN GROUP and PUPPY IN SHOW at Sapphire Coast Kennel Club Ch. show l6th Feb 2013 under Mr M. Gunter (NSW).WHOO WHOO !!! Proudly announcing today 3/5/2013, Pippa gained her Au. 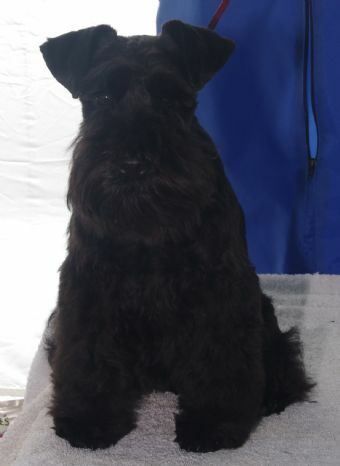 Ch Title at Bulla Amenities Oaks Show, winning Best of Breed, under Mr. G., Krishnan (Malaysia). So thrilled with our beautiful 'black' girl.